As you may be aware (who knows… you may have been blissfully ignorant!? ), we had a heap of giveaways live on the site last week. One of of our giveaways was thanks to the team at Sony Music Australia, who gave us three CD packs, each containing five hit albums. There was James Arthur’s ‘Back From The Edge’ (featuring his No.1 single ‘Say You Won’t Let Go’). There was Jessica Mauboy’s No.1 soundtrack from the Channel 7 hit ‘The Secret Daughter’. There was Robbie Williams’ recently-released new album ‘The Heavy Entertainment Show’. There was the deluxe edition of the new Little Mix album ‘Glory Days’. 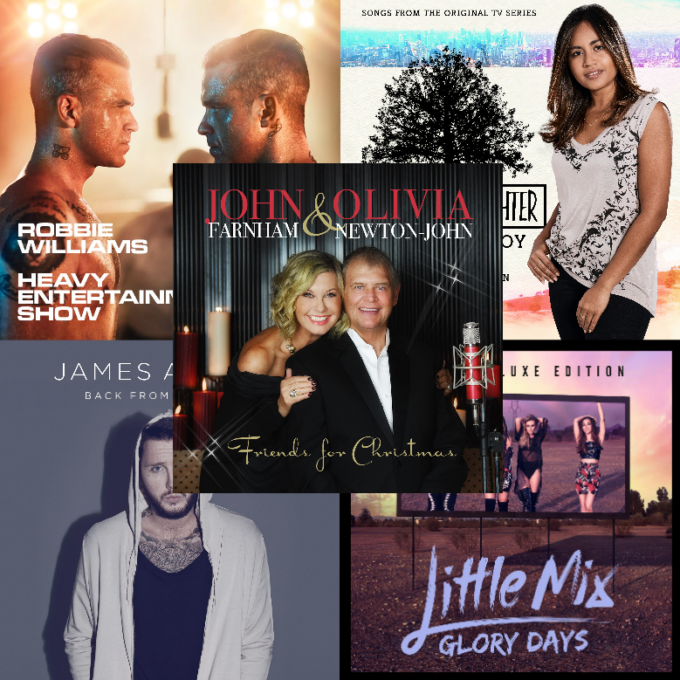 And there was even the new Christmas album from John Farnham and Olivia Newton John (which hit No.1 last weekend)! Congratulations to you fine gents, who each pick yourself up a Sony CD pack with each of those five fab album releases. They’ll be winging their way to yours over the festive season break and should be with you soon. Thanks to everyone who popped their entries in for this and for our other three giveaways, the winners of which are coming up within minutes.